Kumarakom is a cluster of little islands on the Vembanad Lake in the area of Kuttanad kerala, the kumarakom tourism village is situated 14 km away from the town of kottayam kerala. Lined by several strings of palm trees, the region is home to luxuriant paddy fields, blue lagoons, deep kerala backwaters, and dense mangroves that are the quarters of several diverse species of vegetation and wildlife. Geographically, it is located at 9.35 North and 76.26 East. The Vembanad Lake or kumarakom lake is one of the largest fresh water lakes in Asia. It flows through the verdant lands of Kerala and offers one of the best backwater cruises in kerala. Most of the flora and fauna in this region flourishes around this supply of fresh water. The kumarakom lake also acts as a balancing tank against floods, and its wooded banks, temptingly invite a visitor to explore more. The kumarakom eco tourism bird sanctuary lies at the edge of the grounds of an old estate where a profusion of all kinds of birds can be observed. Domestic birds such as cuckoo, wild duck, egrets, darters, herons, teal, and water fowl can be seen in abundance here, as much as can the Siberian storks which migrate to this area each year. The one of the other tourist attractions in kumarakom is bay island drift wood museum kumarakom. Thekkady, a major wildlife center lies 114 km from here, and Sabarimala, a Hindu pilgrim center is 134 km from Kottayam. The charmingly un-kept coastal town of Alappuzha (alleppey) lays close by with its labyrinth of canals, bridges, silver beaches, and cheerful people it makes for a memorable holiday in kumarakom. kumarakom homestay is famous for kerala backwater homestays. Kerala’s most visited tourist destination, Kochi, has one of the finest natural harbors in India around which is based an ancient history of maritime trade. The cosmopolitan cochin city is fascinating in many ways - the beautiful sea front with Chinese fishing nets and stalls selling seafood; the traditional Fort Kochi area with its mix of Dutch, British, Muslim and Portuguese architecture; mattanchery; marine drive cochin; hill palace;blogati palace; and the older city of Ernakulam steeped in kerala culture. Built around a saltwater lagoon, the bustling seaport city on the southwest coast of India is actually a cluster of islands and peninsulas. Once an obscure fishing village, the cochin tourism city became a major trade centre after the port of Kodungallur was destroyed by massive flooding of the Periyar River in 1341. The first European township of India, Kochi still retains. The list of cochin hotels in cochin are ramada resort cochin,le meridian cochin,taj hotel cochin,oberoi hotel cochin, casino hotel cochin, abad hotel cochin, renaissance hotel cochin,nyle plaza hotel cochin etc. Munnar tourist spot is at the confluence of three rivers. In Tamil, the word 'munnu' means "three" and 'aar' means "river". Hence "Munnar" is a shortened version of 'Munnu Aar'. The 3 mountain streams joining together here are Madurapuzha, Nallathanni and Kundala. Munnar is a commercial centre with one of the world's best tea estates. There are about 30 tea plantations in and around munnar hill stations. Among these, majority of the plantations are owned by Tata Group's Kannan Devan Tea Estate. A visit to munnar tourism village can witness the nurturing of tea in plantation to the process of manufacturing and packing. Thekkady tourism is all about Periyar wild life sanctuary. And visiting periyar tourism wild life sanctuary is like looking at the vast green patches of kerala wildlife tour through a pair of binoculars! Aptly located in the most dramatic of settings - amidst soul-soothing mountain ranges, lush valleys, picture book lakes and shimmering rivers - the tropical rainforests affords one of the world's most ancient and complex environments. The definition is transparent. Say thekkady tourism village and the whole of Kerala will cheer up to playful herds of elephants wandering in the unending chains of hills. However, if you visit thekkady holiday spot (named after 'thekku', or teak trees), you will find that it is not as simple as it seems. For time immemorial, kerala is known for its spices and traders crowd here for commercial gains. So how these slanting hills of Western Ghats cannot encourage, but sit idle to the ambrosial aroma of the Indian spices? It is a country that exudes the spirit and ethos of nature. Plan a kerala holiday tour to the place where you can feel nature at every twists and turns. Stay in one of those raw cottages modeled after the jungle dwellings of the local tribal inhabitants. And a tour to Thekkady will make you articulate enough to describe your experiences in God's own country so vividly, that many people will soon be eager to follow your itinerary in India. The important list of thekkady hotels in thekkady are the elephant court resort thekkady,muthoot cardamom county resort thekkady,tree top hotel thekkady, periyar meadows resort thekkady,michles inn hotel thekkady, mickey homestay thekkady, pepper county thekkady homestay, international hotel thekkady etc. Kuttikanam tourism hill station, renowned for its misty atmosphere, is situated very close to Peermade hill station in kerala. Kuttikanam hill station stands at an altitude of more than 1000 meters above the sea level. Kuttikanam plantation town is surrounded by lush-green hills, plantations of coffee, tea, coconut, pepper, cardamom, rubber and eucalyptus. The gorgeous green grasslands and the pine forests add to the rich flora of kuttikanam tourism. Clouds gently touch the peaks that flank the verdant slops of kuttikanam hill station. Indeed, the streams silvering down from the top hill peaks will fill your hearts with warm feelings. The place is known as Kerala’s Own Ooty as it is covered with mist all round the year. The climate is always pleasant. The place is very easy to reach; it is beside NH 220 on the way to Thekkady from Cochin. The place is connected by a network of roads from all the places. Around kuttikanam tourism village there are many places worth seeing. There is a Summer Palace which was the favorite summer residence of Travancore Rajas. This is now a private residence. The Tomb of the Muslim Saint, Peer Muhammed, to whom Peermedu owes its name, is situated at the footage of Peer hills. A walk through the jungle towards it is quite revitalizing. Panchalimedu, this is on the way to Kuttikanam tourism hill station village. A hillock covered with gorgeous green grassland, it offers the traveler a mesmerizing bird’s view of the surrounding area. As the legend goes, the 'Pandavas' of Mahabaratha stayed here during their exile. kuttikanam thrishanku hills, the rolling hills, the lovely landscape and the gentle breeze make this an ideal spot for long walks. The kuttikanam thrishanku hills offer a breathtaking view of the sunrise and sunset. Peeru Hills,this hill station which is named after Peer Mohammed, the Sufi saint, is a favorite haunt of trekkers and picnic teams. It is believed that the saint had spent his last days here. The mausoleum of the saint, the summer palace of the royal family, and the residence of the Diwan situated nearby are all worth seeing. Kuttikanam list of hotels are thrisangu haven resort kuttikanam, mundax homestay kuttikanam, dream land hill resort kuttikanam, Ashley bungalow kuttikanam, wood palace hotel kuttikanam etc. Vagamon tourism hill station village is located on the idukki – kottayam border, Vagamon is a hill station surrounded by tea gardens and lush greenery. About 64 km. from Pala, it is at a height of 1,100 meters above sea level and is surrounded by plantations of vanilla, pepper, coffee and rubber. It is known for its scenic beauty, heritage and historical buildings and many religious shrines. Vagamon hill station is also an emerging international paragliding destination. 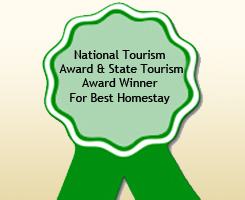 It also offers many tourism vagamon homestay opportunities. The list of vagamon hotels are summer sand hill resort vagamon,ananya hill resort vagamon,sun view bungalow vagamon,hotel vagamon heights etc. Kottayam is an important commercial and tourist centre of Kerala and is situated in the southern part of India. Kottayam is also known as the rubber hub of Kerala, and is among the state's most mountainous regions, providing some of kerala tourisms finest natural scenes. The word Kottayam is a composition of the words Kotta (meaning fort) and Akkam (meaning inside). Kottayam is one of the exotic kerala backwaters sites attracting tourists throughout the year. Being a hill stations region with scenic landscapes, backwaters, bird sanctuaries, temples and churches make kottayam is a place of tourist attraction. Lying below the sea level, some of its nearby places are also a treat to the eyes. The tourism spots in kottayam are thirunakkara mahadeva temple,St Mary’s church knanaya church,St Mary’s Church Cheriyapally,Thezathangadi Juma Masjid,St Mary Church Mannanam,Chenganassery,vaikom temple,kuttikkanam,ST Alphonsa church bharanaganam, ST Mary’s church manarkad,Saint George church puthuppally.Kottayam has the easy access to sabarimala temple and saint gregarious church parumala.The majority of the kottayam hotels are budget hotels in kottayam. Alleppey tourism (alappuzha tourism) is a district of immense natural beauty in kerala tourism. Today, Alleppey tourism has grown in importance as a backwater tours in kerala, attracting several thousands of foreign tourists each year. It is also famous for kerala boat races, kerala houseboat holidays, kerala beaches, kerala marine products and kerala coir products. Alleppey is known as the Venice of The East. For a total alappuzha tourism experience traverse the canals on small vallams (Boats) or anchor in the middle of the backwater lakes on a kerala kettuvallam (rice boat converted to cozy house boats) - spend the night under the star lit sky, listening to the splash of water on to the boat. The list of alleppey hotels in alleppey are place resort alleppey, pagoda resort alleppey, arcadia regency hotel alleppey, pristine island resort alleppey, marari beach resort alleppey, abad turtle beach resort marari alleppey, coir village resort alleppey, kayaloram beach resort alleppey, agamam homestay alleppey etc. To the north of thiruvananthapuram comes the kollam tourism district. Considered as the gateway to the backwaters of Kerala, the kollam tourism district takes the credit for being the hub of the country’s cashew trading and processing industry. It was formerly a renowned trading point for spice. The kollam tourism district is a leading center for fishing in Kerala and is home to the largest fresh water lake in Kerala – Sasthamcotta. A kerala houseboat cruise starting from the Ashtamudi backwaters in Kollam to backwater networks in the adjoining district of alappuzha, kumarakom and further is a delightful experience. 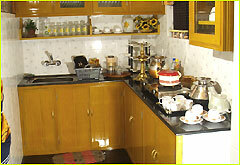 The list of hotel in kollam are aquasserenne hotel kollam, Land mark hotel kollam etc. There are a number of tourist attractions in trivandrum tourism district, kerala India. A must on every tourist itinerary for Trivandrum, the Padmanabhaswami temple with its gopuram (tower) soaring majestically upwards, is believed to be one of the 108 shrines sacred to the piece de resistance is the large section devoted to the paintings of Raja Ravi Varma, an Indian painter of distinction in the history of the country's modern art. Besides him, the Indian section also contains works of Rabindranath Tagore, Jamimi Roy, K. K. Hebar, miniatures from the Rajput and Mughal schools of painting and the famous Tanjore paintings encrusted with semi-precious stones. The gallery's collection also includes paintings from Indonesia, China, and Japan. Then, of course, a trip to trivandrum tourism in India is incomplete without a boat-ride on its enchanting backwaters. These waterways of Trivandrum in India teem with life. One can be seduced by the panorama of beautiful landscapes, beaches and waterways, coconut palms and, of course, beautiful, friendly people of Trivandrum in IndiaVaishnavites in India. Besides this magnificent temple, trivandrum tourism offers a great deal more. There is the Observatory to start with, established over a hundred years ago in Trivandrum in India. Several kings have also built their palaces in and around the Trivandrum, India, each more impressive than the other. Despite a few attempts at modernity, Trivandrum retains its discreet, old-world charm. Lying within the museum compound of Trivandrum, Sri Chitra Art Gallery proves to be an ideal place for art lovers. The list of hotels in trivandrum are Pankaj hotel trivandrum, Muscat hotel trivandrum, comfort inn trivandrum hotel etc. Kovalam beach, meaning "a groove of coconut trees," is just 10 km from the state capital of Kerala- Thiruvananthapuram or trivandrum. Kovalam tourist place is actually a combination of three small beaches. Among these, the southernmost beach, named Lighthouse Beach, is the most frequented beach in Kovalam tourism place. Earlier this kovalam beaches was an anglers' paradise. It still has some small villages, just a few kilometers away, which belong to the fishing community. Gradually, this beach of kovalam has been transformed to a tourist spot of great interest. Kovalam tourism beach village is an ideal place for a sunbath during the winter. Tourists to Kovalam beach can also experience the typical kerala massage from the parlous available a few kilometers away along the kovalam beaches. The list of kovalam hotels in kovalam are abad harmoniya resort kovalam, trivandrum heritage hotel kovalam,raja hotel kovalam,sagara beach resort kovalam,samudra hotel kovalam,eshturi island kovalam,uday samudra beach resort kovalam, kovalam beach retreat resort etc. Coconut creek kumarakom homestay and houseboat, offers a golden opportunity to the wiling tourist to be regaled by the hilly and misty beauty of Wayanad toursim district, Kerala, South India, which are further hallmarked by the tribal arts of Adiyar and Paniyar tribes nestled in the hills of this region. A travel tour to Wayanad tourism region, Kerala, South India, would showcase the same panorama to a tourist. A travel tour to Wayanad, located in Kerala, South India, is home to the exquisite variety of tribal and ethnic handicrafts available in this part of Kerala, South India. Tribal and indigenous art and artifacts of the order of Vatakkali and Kooliyattam of the Paniyar tribe, Kolkali of the Kurumars and Nellukuttu belonging to the Kuruchias are some of the ethnic civilization ambassadors, which need to be seen and appreciated in their motherlands to live the true flavor and charm of this less discovered heritage of Kerala, South India. A visit to Tourism in Kerala leads us to the popular Wayanad Wildlife sanctuary which is contiguous to the Nagarhole and Bandipur of Karnataka and Mudumalai of Tamilnadu and it forms a fulcrum of the Nilgiri system of Biodiversity in Kerala, South India. The Wayanad Wildlife sanctuary is home to animals of the order of bison’s, wild dogs, civet cat, panthers, tigers and elephants which can be a delight of sorts for the tourists who have a fun for kerala adventure tourism. The list wayanad hotels are glenora homestay wayanad, Mystic Heights Vythiri resort wayanad, Ente veedu Homestay wayanad, Bramagiri hotel wayanad etc.